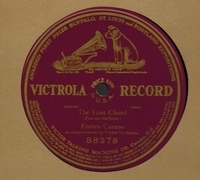 R0298. 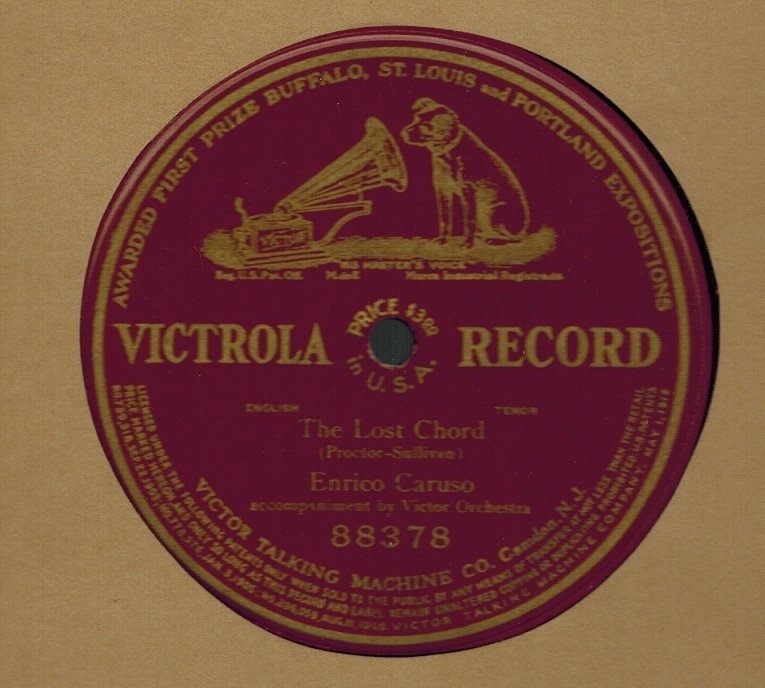 ENRICO CARUSO: The Lost chord (Sullivan). 12” AC Pat.’12 Vla 88378, POM-29 April, 1912. Lovely copy has faintest pap. rubs.